shop Biokleen Floor Cleaner - Multi-Surface - Case 6 - 32 Fl oz. 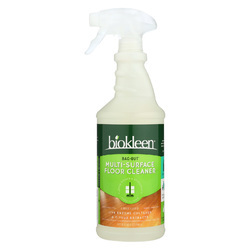 Biokleen Floor Cleaner - Multi-Surface - Case of 6 - 32 Fl oz. 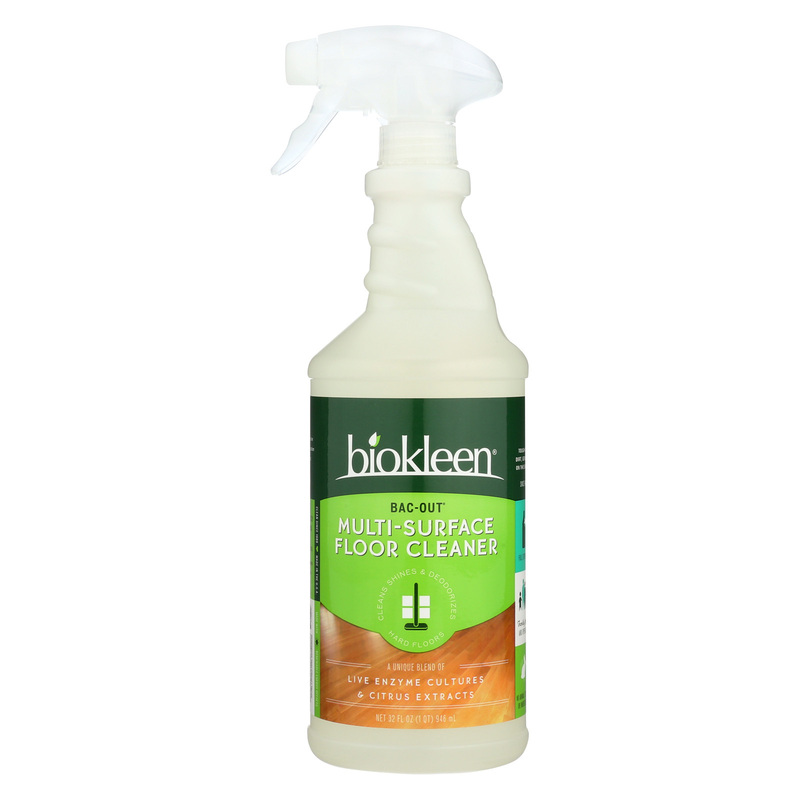 BIOKLEEN HOUSEHOLD CLEANERS, BAC-OUT MULTI-SURFACE FLOOR CLEANER HAS A UNIQUE BLEND OF LIVE ENZYME CULTURES AND CITRUS EXTRACTS TO CLEAN, SHINE AND DEODORIZE HARD FLOORS. THIS CLEANER COMES FULL STRENGTH IN A 32 FL. OZ. BOTTLE AND CLEANS, SHINES AND DEODORIZES BY GOING DIRECTLY AFTER THE SOURCE THAT CAN CAUSE BUILD UP: DIRT, OILS, GREASE AND FOOD PARTICLES. IT LEAVES NO STICKY RESIDUE OR HARSH FUMES. BIOKLEEN HAS A GUIDING COMMITMENT TO PEOPLE, PETS AND OUR PLANET, HARNESSING THE POWER OF NATURE TO PRODUCE PLANT AND MINERAL BASED CLEANERS THAT WORK. WE ARE A FAMILY OWNED, PROUD U.S. MANUFACTURER THAT DOESN’T TEST ON ANIMALS. WE ALSO PARTICIPATE 100% IN ENERGY AND WATER OFFSETS. SEE THE LABEL FOR ALLERGENS AND WARNINGS.